A beautiful spray that represents a deep love to a person who will always have a special place in your heart. 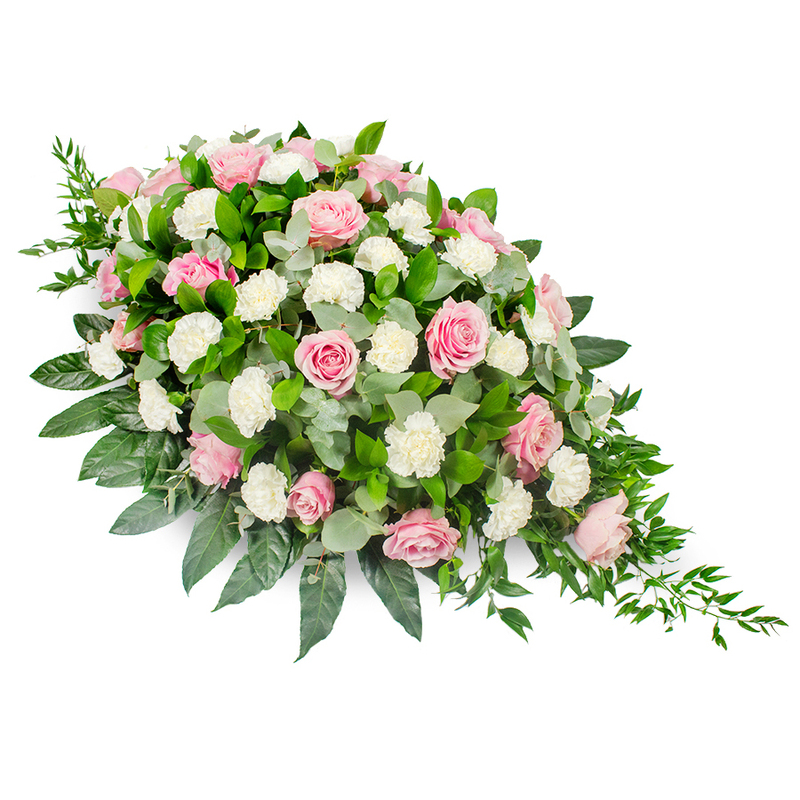 Pink roses and white carnations are combined with aral leaves, ruscus and eucalyptus leaves to create a wonderful display of your sincere thoughts and prayers. 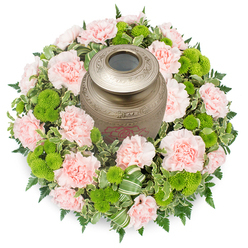 I loved the generous amount of foliage and flowers in some funeral sprays that we ordered. They looked full and vibrant. 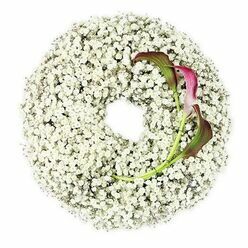 The funeral spray was elegant. 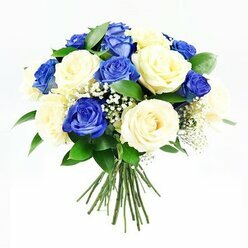 I've ordered a regular bouquet from this company and was quite pleased with their services. 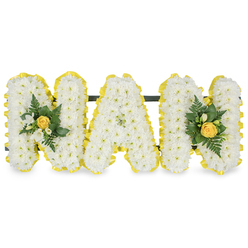 The funeral flowers that I ordered last week were very elegantly arranged. 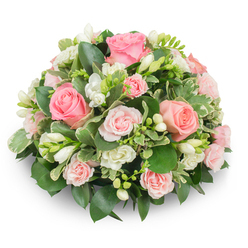 I was surprised how easy it was to order funeral flowers online. Saved me a lot of time and money. 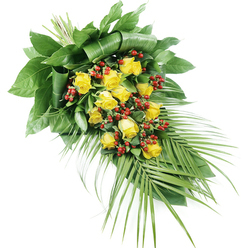 prices on this website are really affordable compared to some of the other websites. Thank you for the help! Much appreciated! The arrangement was flawless!